300 Pasteur Drive, CA 94305-5235, USA. Migraine behavioral modifications, The Lancet Oncology, Neurology, Pain, Journal of Neurology, Cephalalgia, and Journal of Neurological Sciences. 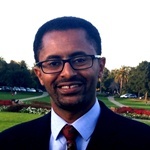 Dr. Yohannes W. Woldeamanuel is an Expert Physician and Medical Scientist, currently a Senior Clinical PostDoctoral Scholar at Department of Neurology and Neurological Sciences and a Senior Fellow at the Center for Innovation in Global Health, Stanford University School of Medicine. He obtained his M.D. from Addis Abäba University Medical Faculty in January 2007. Prior to joining Stanford, Dr. Woldeamanuel did Clinical Neurology residency training at Addis Abäba University Medical Faculty combined with Basic Science and Clinical Research Fellowships concentrating in the areas of Neuroinfectious Diseases, Neuropathic Pain, Epilepsy, and Neuroepidemiology at Karolinska Institutet - Sweden, Albert Einstein College of Medicine - USA, University of Heidelberg - Germany, and Imperial College London - UK. He is an Awardee of several prestigious Fellowships, namely, the International Brain Research Organization (IBRO) John G. Nicholls 2012, International Association for the Study of Pain (IASP) Scan|Design Foundation 2010, European Neurological Society (ENS) 2011, and International Headache Society (IHS) 2014. He also has vested interest and expertise in Global Health, Population Medicine, Epidemiology, Biostatistics, Primary and Preventive Care, and Research Methods. He has a strong track record of publishing many peer-reviewed first-authored articles in several high impact medical journals including The Lancet Oncology, Neurology, Pain, Journal of Neurology, Cephalalgia, and Journal of Neurological Sciences. Dr. Woldeamanuel’s track of strong, productive, industrious, and entrepreneurial leadership skills has enabled him to team up with colleagues and found Propria Health Solution Co. where he is the Founder and CEO.